The veterans office developed a plan to help veterans transition to higher education and connect with different communities at GW after completing a departmental review. Officials announced a series of new short-term initiatives to improve veteran student life at GW earlier this semester after completing a departmental review this fall. The review was completed in January and will result in a revamp of the veterans office website, increased funds for veteran scholarships and expanded mental health initiatives for the group. Student leaders said the 22-part action plan, a copy of which was obtained by The Hatchet, hasn’t provided any revolutionary solutions but gives officials written guidelines to follow to address some of veterans’ longest-standing complaints about issues like priority course registration. Danielle Lico, the associate dean of students for student administrative services, said the review laid out focus areas including communication, mission statement, academics and community engagement. She said the office is establishing new initiatives, like working groups for graduate students and an academic national honor society for military and veteran students, to improve the student experience for the group. “Our student veterans and current military students are an integral part of our GW community and we want to continue to provide a welcoming environment for them,” she said. The report found weaknesses in areas like academic resources and marketing services, which other institutions’ veteran programs offered in the form of tutoring programs and compelling videos and images. The office will launch a new website by the fall that includes a full list of benefits available to veterans, Lico said. In the summer, the office will host a veteran’s resource fair and an informational webinar about the Forever GI Bill – which provides benefits, like expanded tuition support, for student veterans – that went into effect in January, she said. Veterans said they became worried about the future of the Office of Military and Veterans Student Services after seeing several staff members leave the office in recent years, some without explanation. Officials announced the review in September, and Lico said “key stakeholders” across the University met six times between November and January to discuss how to improve the veteran student experience. More than 15 administrators participated in the review, including Andy Sonn, the director of the office, and Anne Graham, the assistant director of student involvement and Greek life. 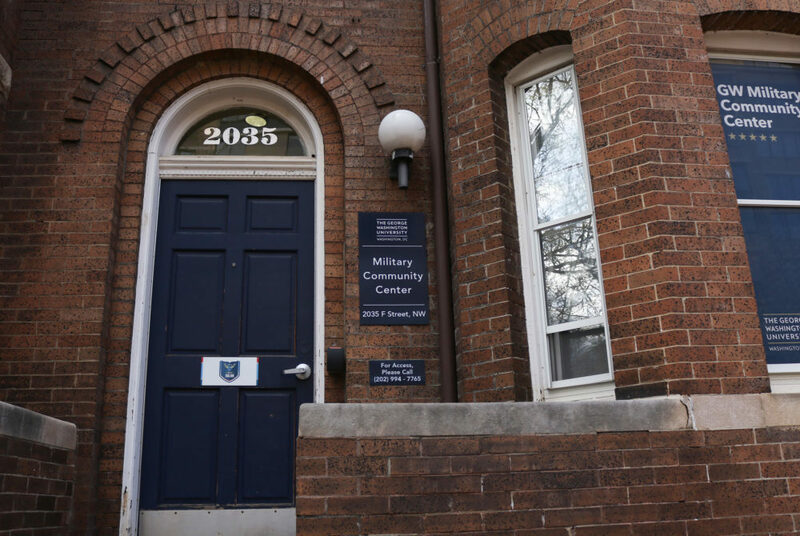 During the review process, Victoria Pridemore, the director of GW’s military students program office, left the University almost a month after returning from military leave. Lico said the office will look for ways to engage alumni and faculty to improve the veteran student experience but did not provide additional details about the engagement. “Our goal is to continue to enhance and adjust program offerings and services as needed based on evolving student needs,” she said. A new program manager for the Office of Military and Veteran Student Services was hired last month, she said, bringing the total number of full-time staff in the office to four. She declined to say how the office addressed student concerns related to administrator departures. Lico also declined to describe any challenges the review process encountered. Student veterans said the 22 recommendations of the review give administrators and staff specific steps to follow in the long term and the short term, and although not everything is being fixed immediately, there is a plan to eventually fix issues veterans encounter. Jesse Robinson, the president of GW Veterans, declined to comment. Tyler McManus, the former president of GW Veterans, helped officials conduct the review of the office before he stepped down as president in November. He said changes, like updating the office’s website and educating professors about graduate student needs, were a long time coming and easy to fix. “A lot of it was stuff that we already knew needed to be done but now we had the opportunity to formalize it,” he said. He said the plan addresses long-standing veteran concerns about issues like military credits transferring to the University. A transfer credit working group will meet by the end of the academic year to identify problems with the transfer credit process and suggest solutions, according to the report. “They address a lot of issues that were coming up – it’s just how they follow through,” he said. Yannick Baptiste, who served as president of GW Veterans last year, said nothing about the action plan was surprising because the office staff know what is best for veterans and heard from students during the review process. “OMVSS and its partners continually reevaluate their programs and services, so what I saw in the action plan was not necessarily anything newfound, but merely codifying it in a different format,” he said in an email.